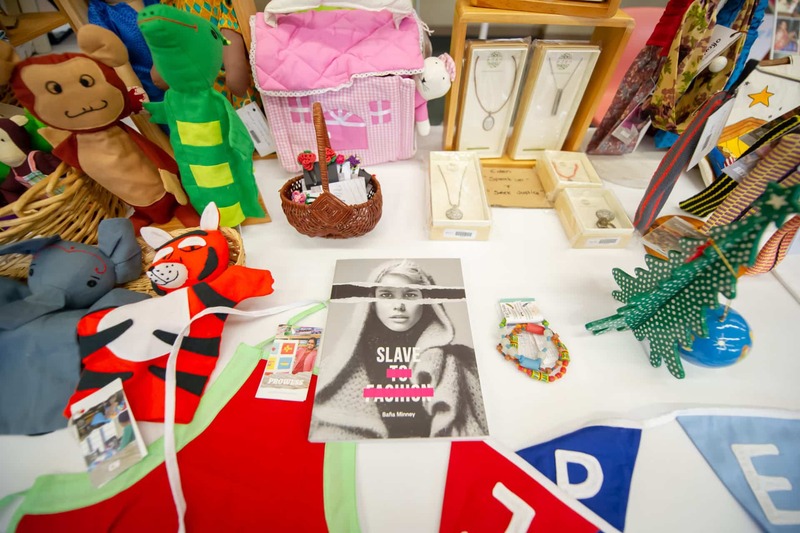 The Archbishop of Sydney Anthony Fisher OP has launched an ethical shopping guide as part of efforts to combat modern slavery on the International Day of Prayer and Awareness Against Human Trafficking. The annual day, created with Pope Francis’ encouragement in 2015, is celebrated on 8 February, the feast day of St Josephine Bakhita, who was kidnapped as a child and sold into slavery in Sudan and Italy. 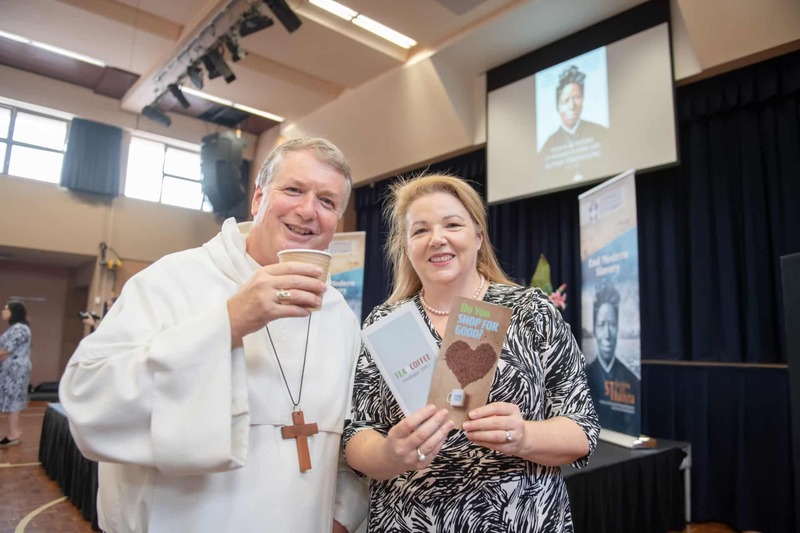 Archbishop Fisher announced the Shop for Good initiative at an anti-slavery seminar and expo at St Mary’s Cathedral College Hall which he hosted along with the archdiocese’s Anti-Slavery Taskforce led by John McCarthy QC. The event was attended by hundreds of business, education, civic, community and religious leaders. 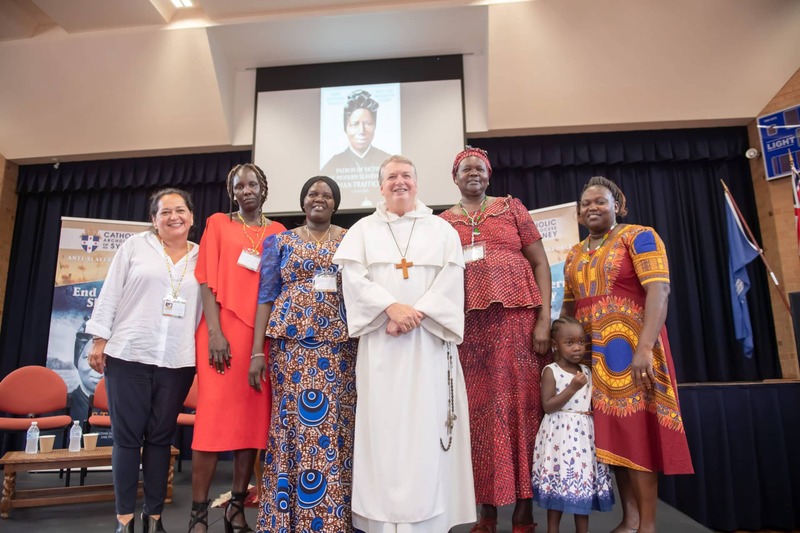 “Between us we have very considerable purchasing power and therefore power to deter any supply-chains that profit from modern slavery,” said Archbishop Fisher. The Shop for Good guide is a process to purchase a range of ethically-sourced goods including fresh food, beverages, clothing, and school and office supplies and equipment endorsed by the Catholic Archdiocese of Sydney. 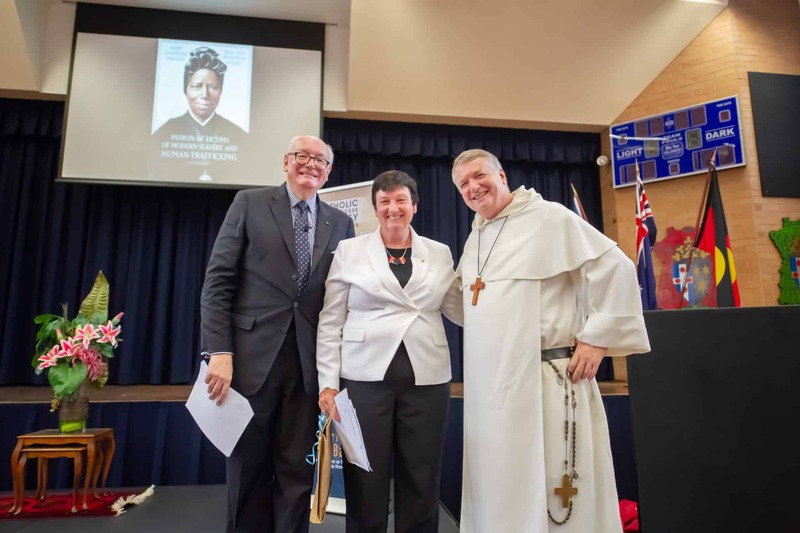 In his address the archbishop congratulated the Federal and NSW governments for passing anti-slavery laws last year, the Modern Slavery Act 2018 (Aus) and the Modern Slavery Act 2018 (NSW). He also informed the gathering that the anti-slavery taskforce has in principle commitments throughout the archdiocese, from church agencies, education and healthcare providers, along with parish priests “to seek to remove the stain of slavery from our Archdiocesan procurement practices”. Australian businesses must partner with the Church in taking the lead on ending economic and sexual slavery, she said. “Stamping out modern slavery isn’t a feel-good exercise,” she said. “Today modern slavery is an economic issue. And this is why business is best placed to take the lead on ending this odious practice. Federal Special Minister of State, Alex Hawke, said the Modern Slavery Act passed in Federal parliament last November had had no opposition and would be instructive on a global level. “Half of the world’s slaves are in our region and there is interest in our law here,” he said. Federal Labor’s Deputy Leader and Education spokeswoman Tanya Plibersek, said that it is vital that businesses take responsibility for slavery-proofing their supply chains and said that they could be ‘named and shamed’ in parliament for non-compliance with anti-slavery legislation. “We can do better than allow people to continue to live as though they are in the Middle Ages,” she said. She also said Labor would push for the appointment of a Federal independent anti-slavery commissioner. Slavery survivor and advocate Moe Turaga told his story of being trafficked to Australia from his native Fiji at the age of 17 by his cousin to work on Victorian fruit farms. Upon arrival his passport was taken from him and he was virtually kept captive and told he had a debt to pay off for travel and visa costs. After two years of working seven days a week, he learned that the income he thought was going home to his mother on his behalf had never actually been sent. 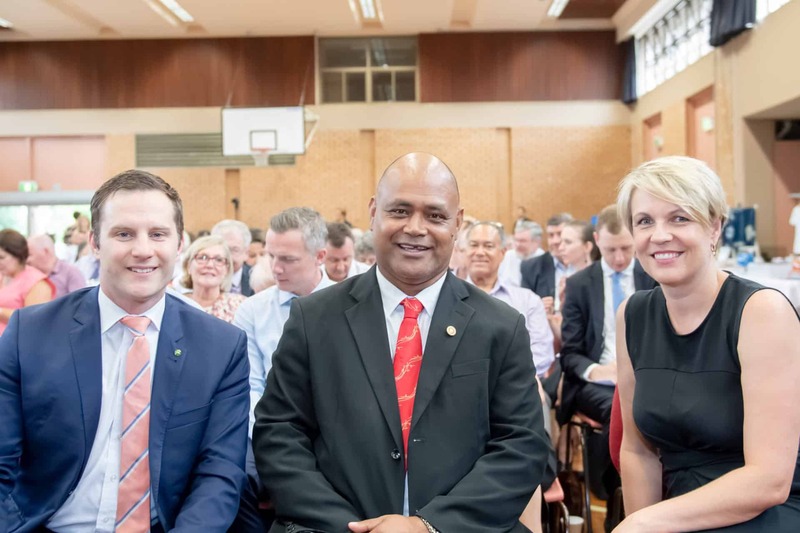 Mr Turaga told The Catholic Weekly the day at St Mary’s made him feel “very hopeful” that change would be made and that it was very important to push for a federal anti-slavery commissioner. At the Vatican Pope Francis called for prayer and actions to confront modern-day trafficking and modern slavery, saying that to be indifferent to these crimes would be to become an accomplice to them. “Although we try to ignore it, slavery is not something from other times,” he said in a video message. “We cannot ignore the fact that there is as much slavery in the world today as there was before, or perhaps more. Click here for the Shop for Good Guide.